The HNJH Laboratory has been a DATIA—Drug & Alcohol Testing Industry Association—member (since 2008). All drug and alcohol testing is performed by experienced, certified collectors. Testing is available 24 hours a day, seven days a week for Post-Accident and Reasonable Suspicion testing. Pre-employment, random, return-to-duty, and follow-up testing is available by appointment 7:30am to 4:00pm, Monday through Friday. 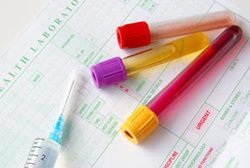 If you need drug and alcohol testing performed after our regular hours, please call the Lab at 906.293.9226.